Are you new to Singapore? New to InterNations? Come and make friends at our special event organised exclusively for our newcomers! If you have just landed, still don't really get around much, and want to meet new friends that are in the same situation as you are, our InterNations Ambassadors will quickly help you fit right in! Join us in a friendly atmosphere and we guarantee you will meet new friends and get all the tips and tricks needed to start your Singapore adventure. 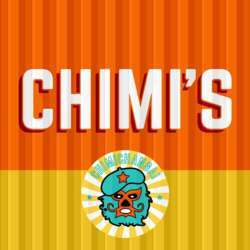 Located at One Marina Boulevard, Chimi's embodies the spirit of the humble cantina. Enjoy your favorite Chimichangas, Tacos and Quesadillas paired with great sundowner happy hour drink deals. Chimi's is at level 1 of 1 Marina Boulevard, where Microsoft / NTUC Centre has it's office. If you have any questions, feel free to send a private message!